Why it matters: As smartphones get thinner, it's increasingly more difficult to turn out meaningful enhancements. Samsung's new chips are both thinner and more efficient than the previous generation, attributes OEMs will no doubt want to take advantage of. Samsung on Thursday announced it has begun mass producing second generation 10nm (1y-nm) class 16Gb LPDDR4X (Low Power, Double Data Rate, 4X) mobile memory chips. The new chips consume up to 10 percent less power compared to mobile DRAM chips used in today’s flagship mobile devices while maintaining the same 4,266 megabits per second (Mb/s) data rate. 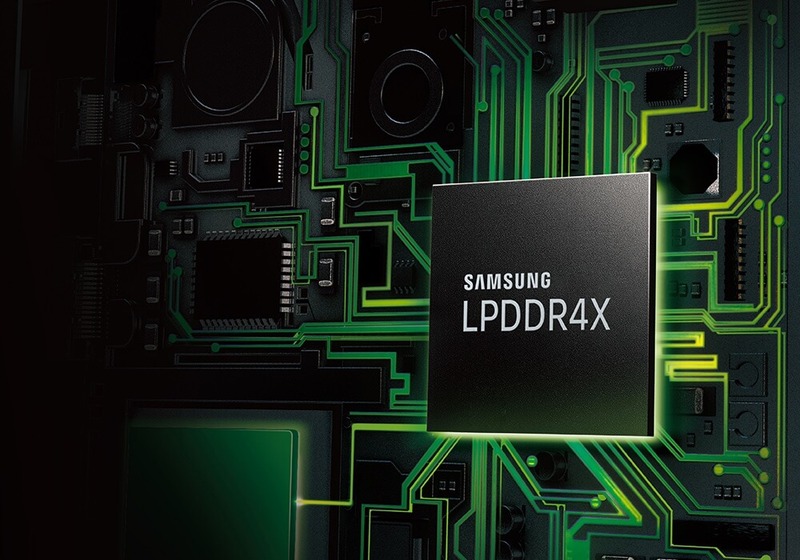 Samsung created an 8GB LPDDR4X mobile DRAM package by combining four of the 10nm-class 16Gb LPDDR4X DRAM chips (16Gb = 2GB). The four-channel package can reach a data rate of 34.1GB per second, Samsung said, adding that its thickness has been reduced more than 20 percent versus the first-gen package which enables OEMs to design slimmer mobile devices. Sewon Chun, senior vice president of memory sales and marketing at Samsung Electronics, said the first wave of flagship mobile devices using 10nm-class mobile DRAM should hit the market later this year or in early 2019. Perhaps not a coincidence, Samsung on Thursday also published a teaser video for its upcoming Galaxy Note 9 that focuses on battery life. It’s not a stretch to assume that the phablet could be the first consumer device to use Sammy’s new memory chips… or maybe it’ll just have a much larger battery as rumored. Either way, we shouldn't have to wait long to get some answers. Samsung is planning to unveil the Galaxy Note 9 at a media event on August 9 in Brooklyn.